Cape Town, 22 February 2018 – The Cape Town Carnival is a spectacular experience of colour, creativity and diversity for spectators who flock to the famous Green Point Fan Walk year after year. The team behind it all has been working tirelessly for close to a year to bring the 2018 edition of this beloved annual event to life. In February, media, sponsors and other influencers were hosted for a behind-the-scenes look at what it takes to pull off an event of this magnitude. The Cape Town Carnival’s main working space is in Maitland – and this is where the magic really happens. 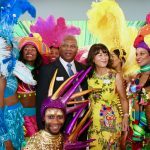 The Carnival workshop is an epicentre of creativity and guests were offered a comprehensive perspective on what goes into the Carnival’s preparations. 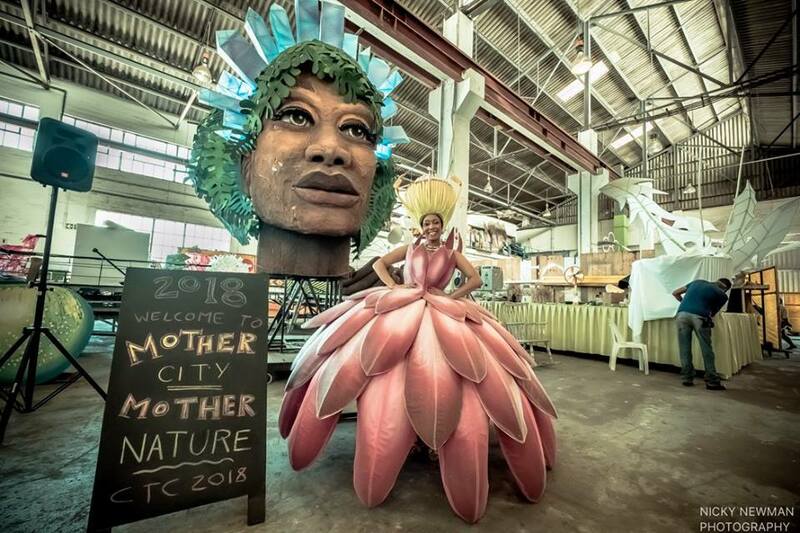 Featuring close to 1 700 dancing, singing and instrument playing performers and magnificently designed and fantastically intricate floats, all around the theme Mother City, Mother Nature, the 2018 Carnival will kick off at 19h00 on Saturday 17 March. Another major benefit of the Cape Town Carnival is the skills development that takes place among the participants and production crews. 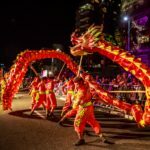 Since many of the job opportunities created by the Cape Town Carnival are seasonal and/or contract work, many employees go on to work in other industries, using skills developed while building floats or sewing costumes for the Cape Town Carnival. 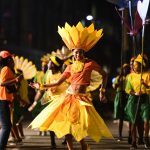 Sustainability and environmental awareness are two core principles of the Carnival and its organisers. “The water crisis gripping the Western Cape has given us the opportunity to further our responsible business practices,” says Douwes. These include measures like installing rainwater-harvesting tanks at the main production workshop in Maitland, enforcing a policy of zero-waste-to-landfill and bringing down individual water usage for flushing and cleaning to less than four litres per person per day. The frst Cape Town Carnival was hosted in Long Street in 2010 and drew around 11 000 spectators. Last year, about 45 000 people watched the show, and organisers invite more people to join the celebration every year. Now in its ninth year, the Cape Town Carnival has proven an economic boon for the city as well. Independent analysis conducted by the South African Culture Observatory, a creative economy think tank and the research arm of the National Department of Arts & Culture calculated direct contributions to the city’s GDP from the 2017 event alone at R41 million. “Cape Town is a diverse, creative, colourful, talented and certainly a successful city, and we’re proud to play a part in this amazing city’s Carnival,” says John van Rooyen, Operations Director for the Cape Region at Tsogo Sun, the 2018 event’s official hotel partner.